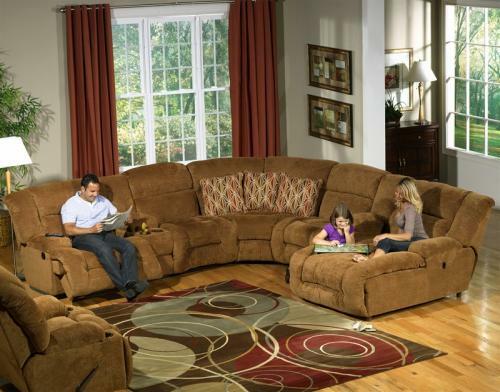 Your living room or family room will become a haven for restful relaxation, comfort and family together time with the Enterprise 4 Pc Sectional by Catnapper. 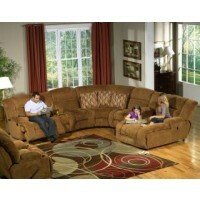 This sectional is all about comfort in entertainment with the featured four cupholders, and two storage boxes. The upholstery is of a durable and easy to clean fabric, and contrasting accent pillows are included. 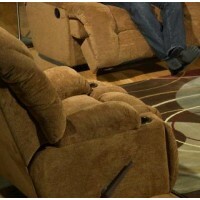 Also available is a matching Chaise Glider Recliner. Perfect for home entertainment, in family room, living room or home theater, the Enterprise 4 Pc Sectional will bring home entertainment to a whole new level of comfort and enjoyment.